Join our partner organization the Coalition for Smarter Growth, working with other DC partners, for a day-long discussion of accessory dwelling units (ADU). Both Arlington and Fairfax County have policies that govern the development of ADUs as part of their zoning ordinances, but so far very few units have been produced. 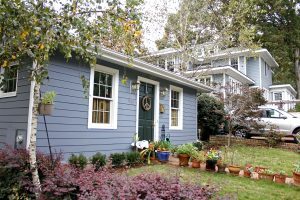 This session examines how other cities have approached this housing type, and how changes to our code may facilitate and encourage more ADU production. Barriers for homeowners to building ADUs on their property including determining appropriate design options; assessing feasibility; securing financing; navigating the permitting process; developing working relationships with architects and builders; managing the construction process; and ongoing property management will be reviewed.